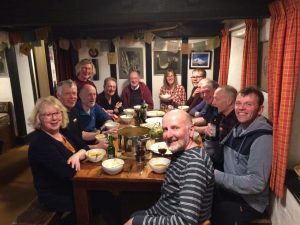 The HMC is an active and friendly club based in Hertfordshire made up of enthusiastic people of all ages (18 and over) and abilities who share a passion for adventure, mountains and the outdoors. The HMC is affiliated to the British Mountaineering Council (BMC) giving our members access to an excellent range of benefits and support. 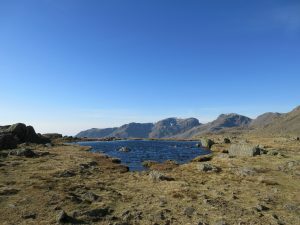 We had 3 days of absolutely amazing weather with great visibility. 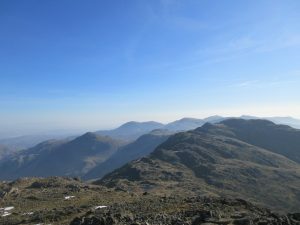 Want to join an active hill walking and climbing group? 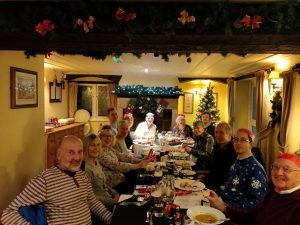 Come along and meet fellow club members from 8.30pm on last Tuesday of each month at the Three Horseshoes Pub, Smallford, Hatfield. We’re always willing to chat about the club, what we get up to and how you can be involved. You can also find our members at the local climbing walls in Hatfield and St Albans and there is more information available from Cotswold in St Albans. 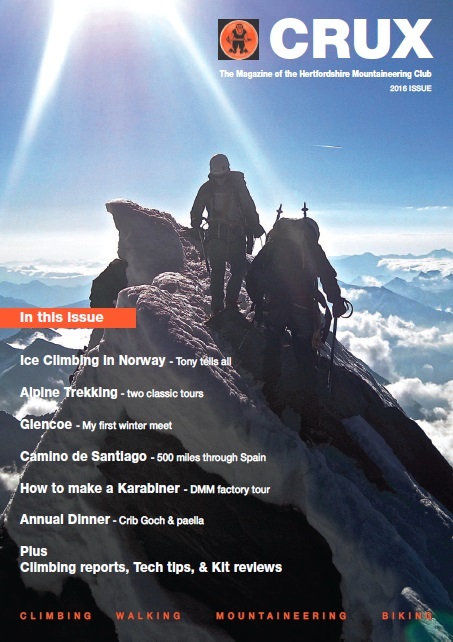 The 2016 edition of the HMC magazine, ‘CRUX’ is available. 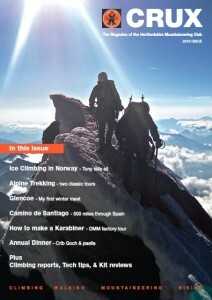 Filled with exciting features, trip reports, equipment testing and lots and lots of photos from HMC events. Find out what we have been up to over the last year. Click the image below to download our magazine. The Hertfordshire Mountaineering Club was formed in 1958, by Peter Spence, together with Robin King, Geoff Clough, Herrick Thwaite, Reg Boot, Graham Brown and Graham Daniels.